• 5 bath, 4 bdrm 2 story - MLS® $665,000 - Fabulous corner lot! 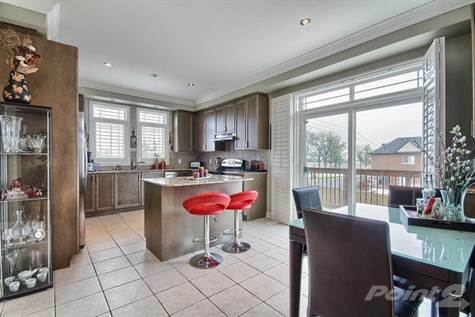 Bradford, Bradford West Gwillimbury - Fabulous Bradford location! Homes Like That Don't Come Up For Sale Very Often. Once You Walk-In, You Feel The Space & The Warmth Of The Home...Enjoying Cocktail On The Balcony Overlooking Large Yard Or Entertaining Friends In One Of The Formal Rooms... You Will Love Living Here! Walk-Out Bsmnt, Custom Drapes & California Shutters, Coffered Ceiling, Two Fireplaces, Designer Paint - And Much More! Come To See Yourself & Call Your Friends & Family!